China will develop a new generation of rockets that can be launched into space from an aircraft, a senior official said. BEIJING: China will develop a new generation of rockets that can be launched into space from an aircraft, a senior official said. Air-launched rockets can rapidly replace dysfunctional satellites or, in cases of disaster relief, quickly send up Earth observation satellites to assist in the effort, Li Tongyu, the head of carrier rocket development at the China Academy of Launch Vehicle Technology, said. Engineers at the academy, which is the main developer of Chinese carrier rockets, have designed a model capable of sending a payload of about 100 kilograms into low Earth orbit, he said. They plan to design a larger rocket that could carry 200 kg into orbit. "The Y-20 strategic transport plane will be the carrier of these rockets. The jet will hold a rocket within its fuselage and release it at a certain altitude. The rocket will be ignited after it leaves the plane," Li was quoted as saying by state-run China Daily. Large satellites will still have to be put into orbit with conventional rockets, experts said. 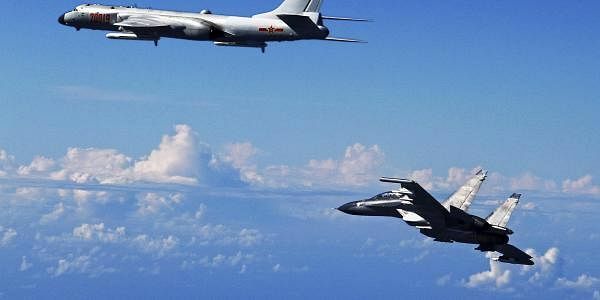 Delivery of the Y-20 to the Chinese Air Force began in July. It is China's first domestically developed heavy-lift transport plane and has a maximum take-off weight of more than 200 metric tons and a maximum payload of about 66 tons, the Daily quoted aviation experts as saying. Solid-fuel rockets can be launched from planes much faster than land-based liquid-fuelled rockets, where preparation can take days, weeks or longer, in part because it takes so much time to pump in the fuel, experts said. Each mission involving a solid-fuel rocket launched by a Y-20 would take only 12 hours of preparation to place a 200 kg satellite into a sun-synchronous orbit 700 km above Earth, Long Lehao, an academician of the Chinese Academy of Engineering, said. Other advantages of such rockets are that they are flexible in deployment and do not need ground infrastructure, Pang Zhihao, executive editor-in-chief of Space International magazine said. They also are less susceptible to bad weather and launch costs are lower than those of ground-launched rockets, he added. The US undertook the world's first air-launched space mission in 1990, in which a Pegasus rocket developed by the former Orbital Sciences Corp was launched from a refitted B-52 strategic bomber to send two small satellites into orbit. Since then, 43 Pegasus missions have been carried out, with the most recent in December. Several US space companies, including Virgin Galactic and Generation Orbit Launch Services, are developing air-launched rockets, the Daily report said.